Spend your September Sundays meeting and enjoying your neighbors during a special series presented by Party in the Park, a popular City of Iowa City program. 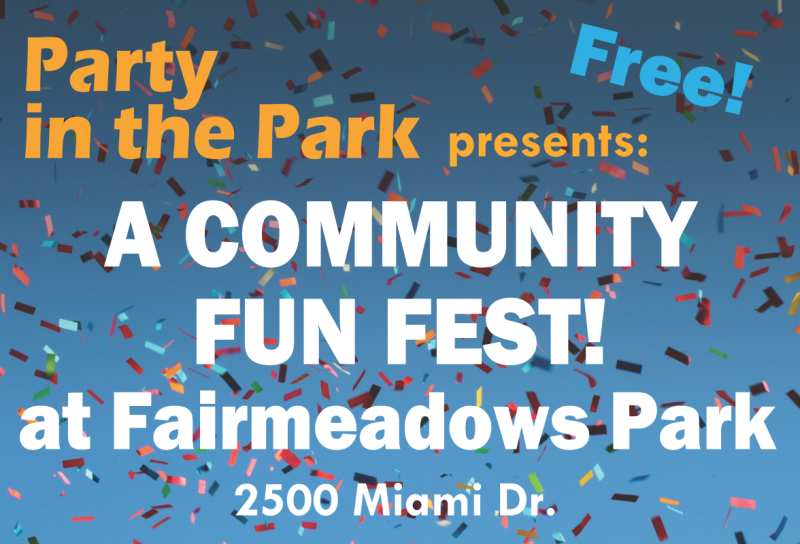 This event will take place at Fairmeadows Park. This finale event will feature local youth talent including City High Cheerleaders (Sparkle Team), Grant Wood Elementary Anthem Choir, mcbxmcg (rap/hip hop group) and Jones Academy for the Performing Arts. Free food will be served including a steak taco bar with toppings, grilled beef sliders, hot dogs and veggie burgers along with baked beans, chips, cheese and fresh fruit bowls. An event will occur each Sunday in September. Each has its own theme and entertainment. These gatherings are being hosted in neighborhoods with larger populations of student residents, and are an opportunity for neighborhoods to kick off the new school year and welcome their new neighbors. There is no fee to participate and all ages are welcome. Each event will include food, giant yard games, kids activities, and a variety of live performances.